Singapore – GuocoLand Limited (“GuocoLand”) announced today that its latest development, Martin Modern, will be launched on 22 July 2017. The sales gallery and show suites at 8 Martin Place will be open on 8 July for private previews. 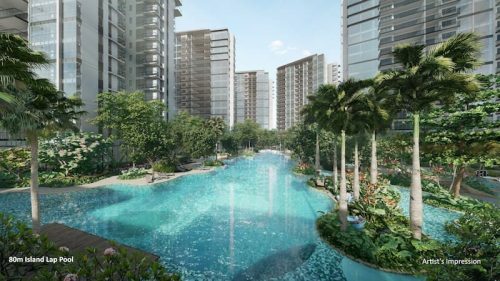 Located in Robertson Quay in prime District 9, the development, when completed, will comprise 450 residential units set within a magnificent botanic garden. It will offer a range of 2, 2+study, 3 and 4-bedroom apartments with sizes spanning 764 sq ft to 1,798 sq ft. Prices start from $1.8 million. Martin Modern is the first condominium launch in the last eight years in the Robertson Quay area, which has transformed dramatically into a vibrant scene with the opening of four new hotels, many trendy F&B outlets, arts and culture venues. 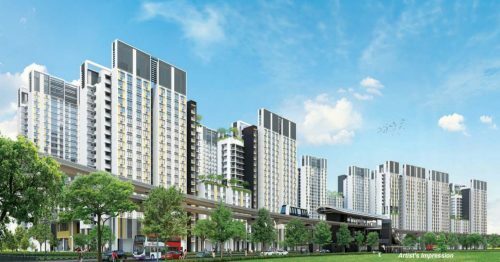 It continues to grow and evolve with two new MRT lines and upcoming MRT stations at Great World and Fort Canning as well as redevelopment of the Kim Seng Road corridor. The highly-anticipated development by GuocoLand is inspired by Good Class Bungalows (GCB) and the Botanic Gardens. It creates a unique living space with open and contemporary living areas, beautiful outdoor spaces, and well thought-out landscaping and greenery, providing residents with a private oasis. “We want to redefine the current conventions of luxury living. 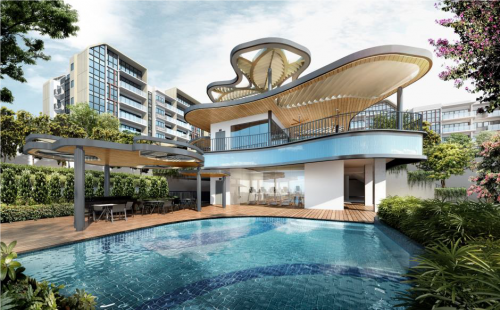 We draw inspiration from the experiences of living in a GCB and translate that into a modern condominium in an upmarket riverside neighbourhood,” said Mr. Cheng Hsing Yao, Group Managing Director, GuocoLand Singapore. To this end, GuocoLand has dedicated about eighty percent of the land at Martin Modern to a lush botanic garden. Sitting within this garden are the architecturally-striking twin towers designed by four-time President’s Design Award winner, Yip Yuen Hong from ip:li architects, who is renowned for his work as the master craftsman for many Good Class Bungalows. Although located in the vibrant Robertson Quay area and minutes away from the MRT station, the development is tranquil and private. All homes in Martin Modern come with high quality fittings and home technologies that offer luxury and convenience for an urban lifestyle. Martin Modern is located in the quiet and sought-after District 9 neighbourhood of Robertson Quay. The exclusive address of 8 Martin Place is auspicious and prestigious. A distinct sense of arrival is apparent from the moment residents enter through an extended driveway, elegant porch and courtyard. A high level of privacy prevails throughout as the apartments are set back from the boundary main road, and the periphery is surrounded by big trees and secluded from external view. All apartments are raised nine metres above the main entrance, and are oriented to maximize views as well as privacy. Martin Modern’s botanic garden is spread over three split levels. With only two towers on a large 1.6 hectare land, about eighty percent of the site will be dedicated to the botanic garden with stately trees and 15 curated garden spaces. In the garden, there will be more than 200 species of plants and 50 species of trees, with many indigenous ones. Located at the crowns of the towers are secret gardens which offer intimate spaces for residents to relax and enjoy the panoramic views of the city skyline, Marina Bay and the Singapore River. Common club facilities, including the Club House, a 50-metre long lap pool, gym by the dipping pool and dining lounges in the secret garden at the top of the 30-storey towers, offer plenty of spaces for entertainment. For example, the party lawn with the dining lounge can host up to 100 people. In the apartments, the living and dining areas, kitchen and balcony are designed in a seamless way, giving homeowners extended space to host parties and gatherings at home. The high ceilings and the well-proportioned living and dining rooms, bedrooms, kitchen and balconies ensure that living space is comfortable and useable. All apartments are furnished with top of-the-line branded luxury fittings such as Miele kitchen appliances, SMEG refrigerators, Laufen sanitary ware, and AXOR bathroom accessories. A wireless smart home readiness hub will also allow for the possibility of integrating a vast number of multimedia systems within each home, bringing intelligence and functionality for a convenient modern lifestyle. The balconies feature marble floors and privacy screens that provide beautiful transitory spaces between the inside and the outside world – a tropical design feature of the verandahs of GCB. Some apartments have dual balconies that extend the living space while offering more natural light and ventilation, as well as two different views of the surrounding area of Singapore River, Marina Bay and the city. GuocoLand is an acclaimed developer of many successful luxury residential properties and has appointed a strong team to conceptualise Martin Modern’s unique design. GuocoLand Limited (“GuocoLand”) is a public company listed on the Singapore Exchange since 1978. The principal business activities of its subsidiaries are property development, property investment, hotel operations and property management. 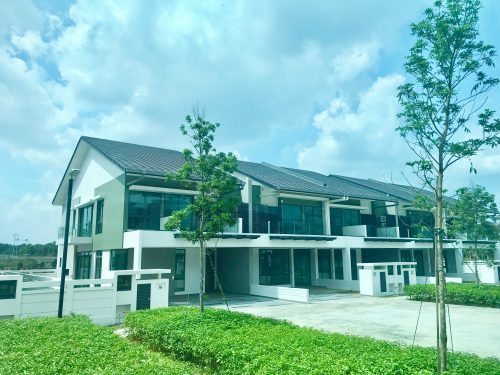 GuocoLand and its subsidiaries (“GuocoLand Group”) have established property operations in their geographical markets of Singapore, China, Malaysia and Vietnam, comprising residential, hospitality, commercial and retail developments. In 2017, GuocoLand marked its expansion beyond Asia into the new markets of the United Kingdom and Australia through a strategic partnership with Eco World Development Group Berhad in Eco World International Berhad. As a premier regional property company, GuocoLand is focused on achieving scalability, sustainability and growth in its core markets through its property development, investment and management businesses. As at 30 June 2016, the GuocoLand Group had total assets of S$7.91 billion and total equity attributable to shareholders of S$3.28 billion.